We have all heard the famous "it was all started by a mouse" quote from Walt Disney. Being that today is Walt's birthday, I figured what better tribute than to post a picture of his most famous and popular creation, Mickey Mouse. 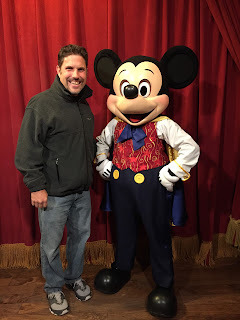 This picture was actually taken two weeks ago, on Mickey's 86th birthday.